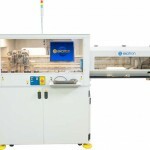 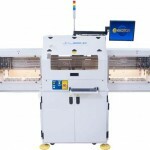 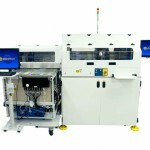 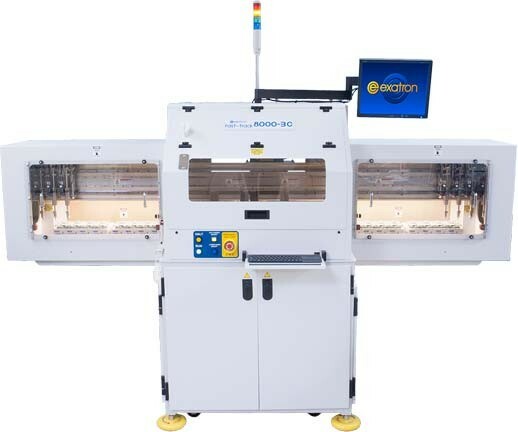 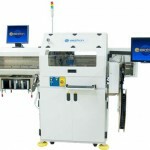 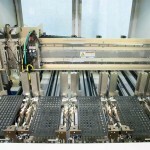 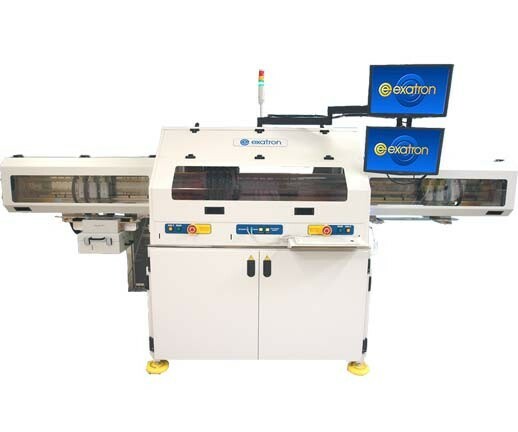 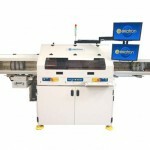 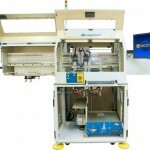 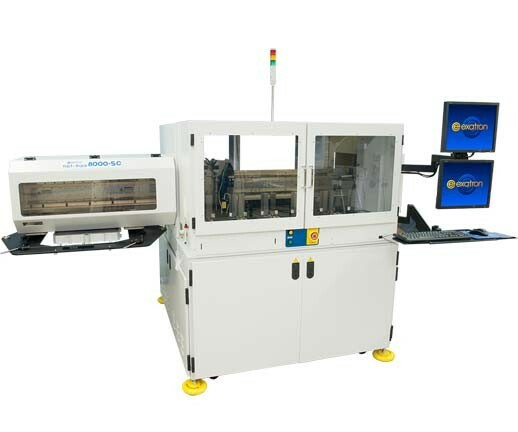 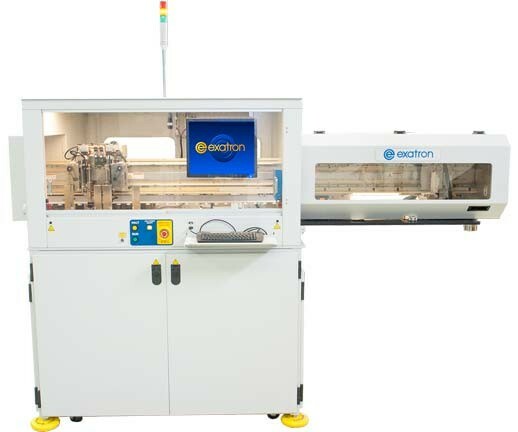 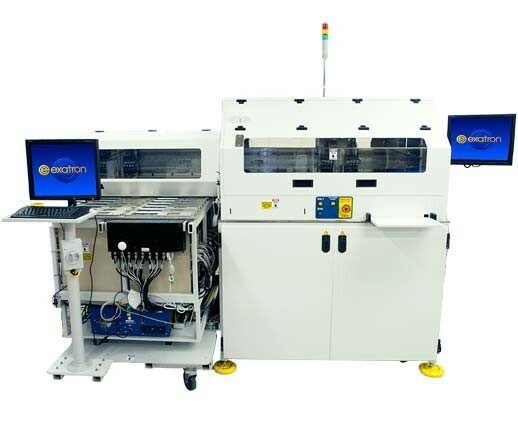 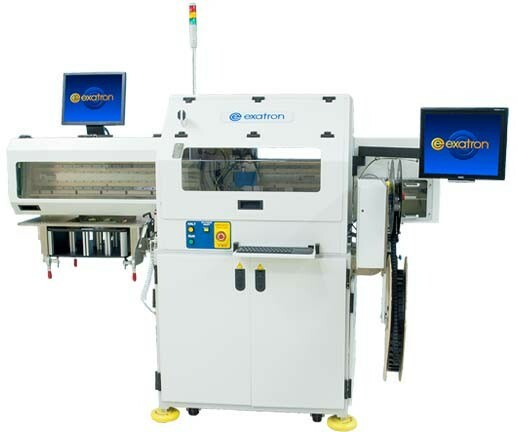 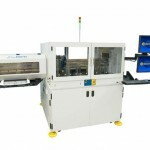 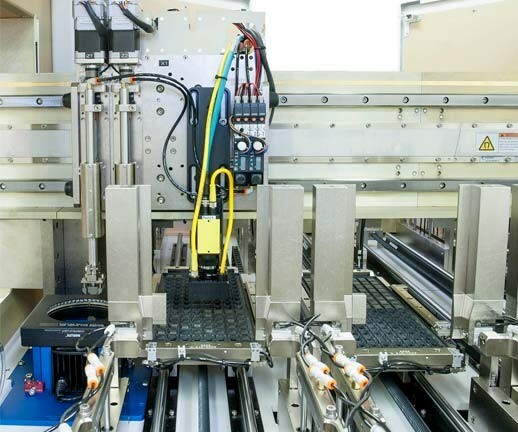 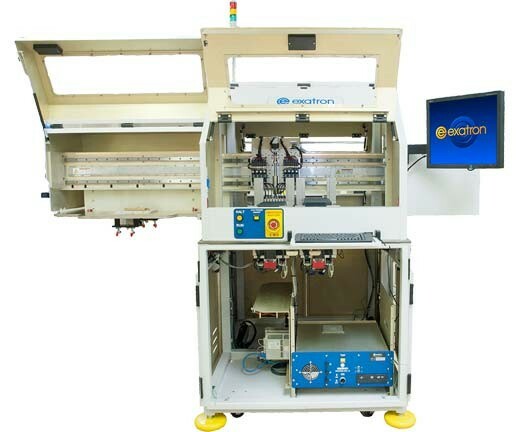 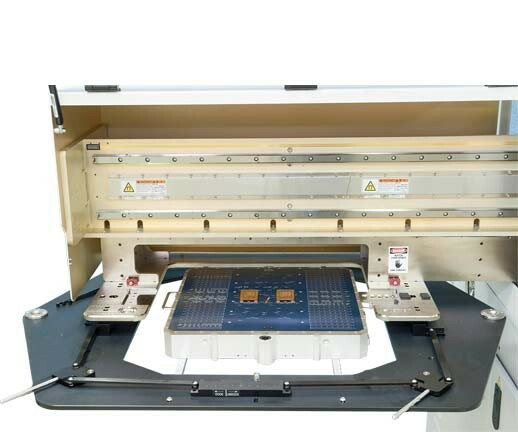 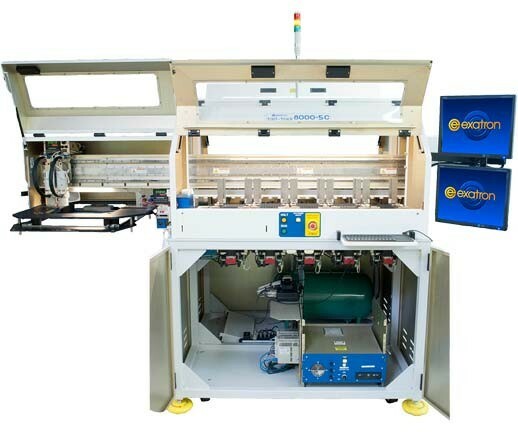 The Exatron Model 8000-3 and 8000-5 pick and place handlers automate testing, programming, transfer, laser marking, and inspection of devices for any high volume production need. 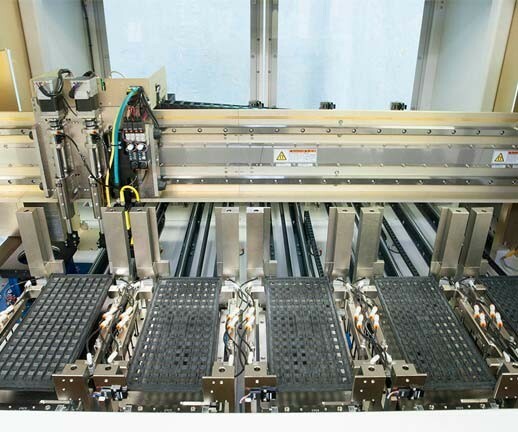 With its modular building block concept and innovative design, the Model 8000-3 and 8000-5 offer unparalleled flexibility and throughput. 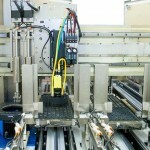 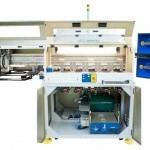 -Y Axis digital linear motor upgrade available. 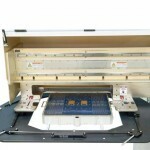 Placement Force: Up to 10kg (20 lbs) force with standard pickup heads.